After the great success of last year music events (from the Don Giovanni rehearsal to Vinicio Capossela at Opera North, to the Italian Night at Cafe Lento, in Headingley), we are happy to welcome to the University of Leeds the Italian band Palconudo, from Genoa, for a talk and a concert at the Faversham (Friday, 8th November 2013: 6.15-7.15pm talk; 7.45-9.15pm concert). They come to the University of Leeds as part of a broader cultural exchange between the Yorkshire region and Genoa (Britalia in Yorkshire), promoted by the Bradford-based band 'Live Lounge Music', in collaboration with LivItaly. This is a FREE event and open to all. It will appeal particularly to Italophiles, lovers of world music, and students of Italian language and/or culture. The talk will be in Italian, but elements of the presentation will be translated to aid enjoyment and understanding by all. The world of sound and textures is what ‘Palconudo’ draws from the city of Genoa, urban, maritime and artistic in which these songs were born. We sing about small permanent shock, loves that are not just fabulous for travelling acrobats, for endless nights in the circus ... but the real world. What emerges is a picture through lyrics that sometimes wink to Fabrizio De André or Vinicio Capossela, and then maybe you will lose yourself somewhere between Coldplay and Radiohead. The show is an emotional journey of multiple colours – using original songs, cover scratches and hits revisited – that caresses and touches. White and black keys, some guitar, a lady enchanted. Very few destinations, a great deal of destiny. What does it mean musically to come from Genova? Who are the famous singers from the city? Why did so many musicians emerge in Genova within such a short period? How have these singers influenced the ‘Palconudo’? Songs by singer-songwriters Fabrizio De André and Ivano Fossati will be presented and discussed at the talk. 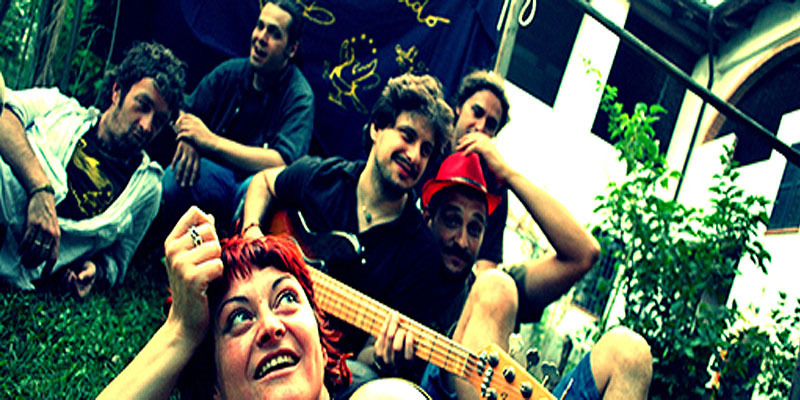 Palconudo are the perfect example of the dynamic relationship that contemporary Italian artists have with Italian cultural traditions: they are deeply rooted in their own town, Genoa, and in the Genoese tradition of cantautori (Tenco, De Andre’, Fossati), and yet they are a young and innovative band. Italian@Leeds is proud to host the 'Palconudo' event and to support their collaboration with ‘Live Lounge Music’, which symbolises the aim and spirit of LivItaly: pursuing and taking part in joint cultural projects linking Yorkshire and Italy.